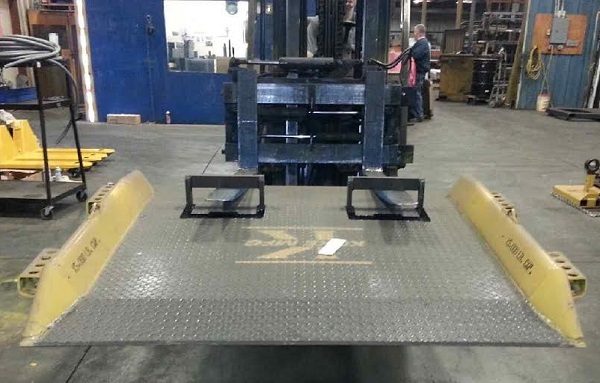 This all welded Deluxe steel dock board measures 60" wide by 48" long, and has a 15,000 lb capacity. It is designed for situations that require high capacity and have heavy usage. These steel dock boards are made in the USA and feature a 48 hour quick-ship program from the NY factory. We start off the fabrication with a sheet of heavy duty diamond plate steel, then formed side curbs are fully welded to protect equipment run-off and for increased strength. Angled and tapered side guards protect against forklift tire damage. 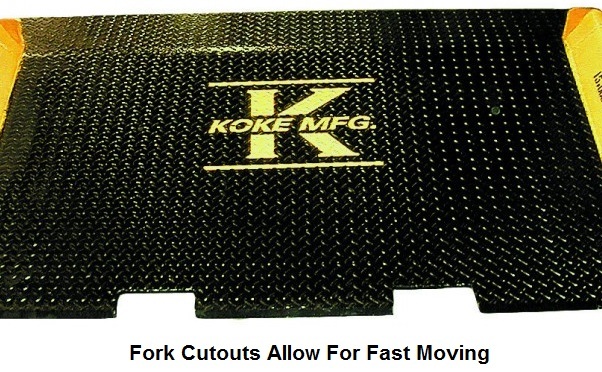 Heavy-duty lift pockets allow for easy and safe moving of this board with a forklift, and they recess flush in the board when they are not in use. Beveled edges at both the entry and exit points allowing for smooth transitioning. Two 12” long pin pockets at each end of the board with 1” diameter stress proof steel locking pins to secure dock board in place, the second set of pin pockets are included to allow for limited below dock situations of up to 2-3 inches. Multiple hole locations allow for flexibility in securing dock board to box, refrigerated and container trailers. It is important to note that the maximum height differential that this board can handle is dependant on the type of equipment it is being used for. Please see specs below for more details. 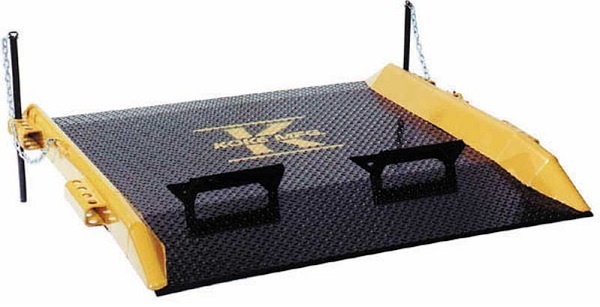 We recommend a dockboard width of at least 12” wider than the overall width of the equipment or pallet used. 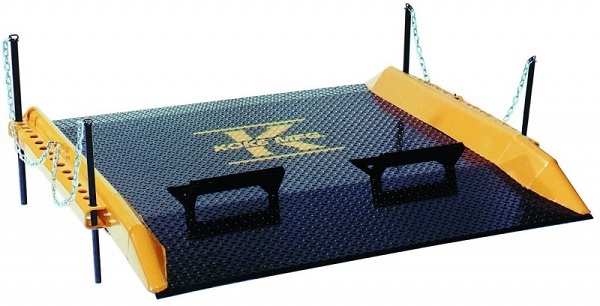 Wider boards increase maneuverability and decrease accidents. 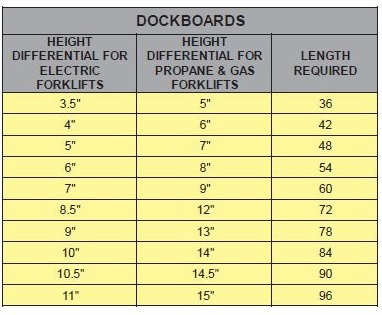 Please make sure to have a look at our dock board guide to ensure that you are getting the correct board for your needs. Please Note: All dockboards are designed to be used in situations where the truck you are unloading is taller than your loading dock (not vice versa).